Click below for information about the organizers of the 2019 q-bio Summer School and examples of lecturers from the 2018 program. Philipp Martin Altrock received his Diploma in Physics from Leipzig University, his PhD in natural sciences from University of Kiel (both Germany), and began working on mathematical and statistical modeling of cancer during hist postdoctoral training at Harvard University and Dana-Farber Cancer Institute in Boston, MA. As an Assistant Professor in Mathematical Oncology at Moffitt Cancer Center, he is interested in many aspects of mathematical and computational modeling of cancer evolution and ecology, and cancer cell dynamics. Some of his current focus areas are to uncover the laws of Darwinian selection in hematopoietic malignancies, such as in leukemias and lymphomas, e.g. during CAR-T cell therapy, or tumor-stroma mediated treatment evasion. He also works on evolutionary game theory to better understand cellular coevolution, in particular in the context of diffusive public goods. Matthew R. Bennett is an associate professor in the Department of Biosciences and the Department of Bioengineering at Rice University in Houston, Texas. He received is PhD in physics at Georgia Tech, where he studied nonlinear dynamics and non-equilibrium statistical physics. He began working in synthetic biology as a postdoctoral fellow in the Department of Bioengineering at the UC San Diego. Dr. Bennett’s current research spans the boundary between experimental and theoretical synthetic biology. He is particularly interested in developing the computational and molecular tools necessary for engineering synthetic microbes for medical and environmental applications. Rosemary Braun is a computational biologist with an interest in the development of methods for integrative, systems-level analysis of high-dimensional ("big") *omic data. These methods incorporate bioinformatic information with experimental data to characterize the networks of interactions that lead to the emergence of complex phenotypes, particularly cancers. Dr. Braun is an Assistant Professor of Biostatistics (Feinberg School of Medicine) and Engineering Sciences & Applied Mathematics at Northwestern University. Many systems -- including living cells -- exhibit collective behaviors that emerge from complex networks of many interacting processes. What can the "wiring diagram" of those interactions tell us about the dynamics of the system, and can we deduce the underlying network from the collective dynamics? In this talk, I will discuss what we can learn about the dynamics of interacting systems from the topology of the underlying network of interactions. I will introduce the formalisms of spectral graph theory and network filtration, and illustrate how these approaches can help us model how living systems respond and adapt to perturbations. Title: Seeing the forest and the trees: multi-scale approaches for analyzing cancer omics data. Advances in high-throughput "*omic" assays now make it possible to the molecular state of a sample in genome-wide detail, providing unprecedented opportunity to investigate disease mechanisms by simultaneously profiling thousands molecular markers per sample. To date, however, most analyses of *omic data consider each marker independently and treat regulatory pathways as a "sum of their parts." By neglecting the network of interactions, such approaches can miss crucial multi--gene effects associated with disease. This talk will present some recent techniques to incorporate pathway information into the analysis of high--dimensional *omic data. By analyzing data at the systems level, the methods enable us to integrate disparate types of *omic data, make inferences about disease mechanisms, and distinguish sets of cumulatively deleterious alterations from those that compensate one-another to preserve the overall function of a pathway. We will show how these analyses can overcome the high variability of *omics data to yield results that are more reproducible across studies, and demonstrate how these methods can be used to identify novel therapeutic and diagnostic targets. John A. Dobelman, Ph.D., is a Professor in the Practice in Statistics and Director of the statistics Professional Master's Program at Rice University. He has a strong background in engineering and leadership. Prior to joining the faculty at Rice University, he was in the Science and Research (S&R) department at PROS Revenue Management as a pricing scientist. Before PROS he owned and operated a financial engineering laboratory. He has been an Adjunct Professor at The University of St. Thomas, Cameron School of Business, Research Analyst at Rice, and consultant. Prior to his statistics career, he was lead engineer and manager for engineering, program management and implementation engineering/installation for terminal Air Traffic Control communications, surveillance, and navigation and landing systems for the Federal Aviation Administration's Facilities & Equipment program. John earned his Ph.D. in Statistics from Rice University. He completed his MBPM from the Jones Graduate School of Management in public management, entrepreneurship and international business. He did his undergraduate studies in Electrical Engineering at Rice University. 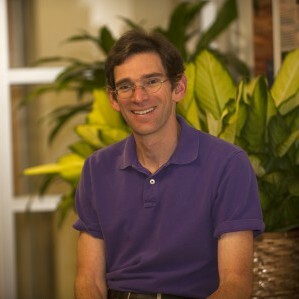 James R. Faeder is Associate Professor of Computational and Systems Biology at the University of Pittsburgh School of Medicine. He is also Co-Director of the Joint Carnegie Mellon--University of Pittsburgh PhD Program in Computational Biology and Department Vice Chair for Educational Programs. His research focuses on computational modeling of cell regulatory networks. His research combines development of novel methodologies with applications to specific systems of biological and biomedical relevance, including the immune system and cancer. He collaborates actively with experimental scientists both within the University of Pittsburgh as well as nationally and internationally. A major current area of focus is on the integration of data with network models to develop predictive models of cell signaling that controls cell fate decisions such as differentiation, proliferation, and cell death. Phosphoproteomics, live cell and single molecule imaging, and transcriptomic profiling are providing a wealth of data that can be used to inform and calibrate such models. Further analytic approaches can be used to gain mechanistic insights and make novel predictions for experiments. William S. Hlavacek, Los Alamos National Laboratory. Prof. Iyer-Biswas earned her PhD in theoretical physics from Ohio State U, and subsequently transitioned into doing experimental biophysics during successive postdocs at Princeton and UChicago. Sri is currently an assistant professor of physics at Purdue University, where her group works on finding emergent laws governing apparently complex dynamics in different contexts. Sri is an invited External Professor of the Santa Fe Institute and was named a Scialog Fellow for Molecules Come to Life in 2017. Sri has received several awards and honors recognizing her research and engagement, including the Outstanding Research Presentation award the Gordon Research Conference, the Showalter Trust Award and the Spira Award for Outstanding Undergraduate Teaching. Alexandra Jilkine is an Assistant Professor in the Department of Applied and Copmutational Mathematics and Statistics at the University of Notre Dame. Prof. Jilkine is a mathematical biologist, and her research interests include: mathematical modelling of cell lineages and optimal division patterns for delaying cancer, modeling feedbacks governing stem cell renewal and differentiation, and spatiotemporal behaviour of biochemical circuits. Multicellular tissues are continually turning over, and homeostasis is maintained through regulated proliferation and differentiation of stem cells and progenitors. Following tissue injury, a dramatic increase in cell proliferation is commonly observed, resulting in rapid restoration of tissue size. This regulation is thought to occur via multiple feedback loops acting on cell self-renewal or differentiation. Prior modeling studies of the cell lineage system have suggested that loss of homeostasis and initiation of tumorigenesis can be contributed to the loss of control of these processes, and the rate of symmetric versus asymmetric division of the stem cells may also be altered. Here, we compare three variants of hierarchical stem cell lineage tissue models with different combinations of negative feedbacks and use sensitivity analysis to examine what are the possible strategies for the cells to achieve certain performance objectives. Our results suggest that multiple negative feedback loops must be present in the stem cell lineage the fractions of stem cells to differentiated cells in the total population as robust as possible to variations in cell division parameters, and to minimize the time for tissue recovery in a non-oscillatory manner. When one of these negative feedback loops on stem cell division been knocked out, most of the stem cell lineage population will be in the form of stem cells, suggestive of "precancerous" tissue. Furthermore, modeling suggests that positive feedback loops in stem cell homeostasis may also be required. We contrast and compare the differences between deterministic and stochastic versions of the models. 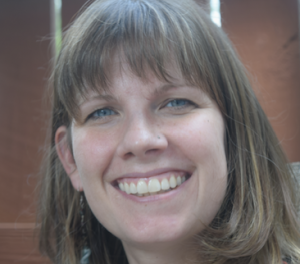 Margaret Johnson joined the Biophysics faculty at Johns Hopkins University as an Assistant Professor in 2013. She received her B.S. in Applied Math from Columbia University and her PhD in BioEngineering from UC Berkeley. She completed postdoctoral training in the Laboratory of Chemical Physics at the National Institutes of Health in Bethesda, MD. Her research focuses on understanding how the individual interactions between thousands of diverse components in the cell generate order and collective function at the right time and the right place. 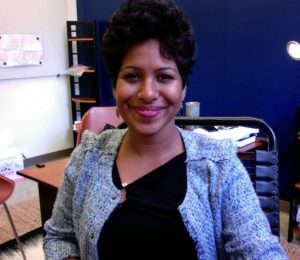 She develops theoretical and computational approaches to study the evolution and mechanics of dynamic systems of interacting and assembling proteins. A current emphasis is studying the non-equilibrium self-assembly of protein structures on the membrane, such as occurs in clathrin-mediated endocytosis and virion formation. Her group has developed the first structure-resolved reaction-diffusion algorithms to enable spatial and temporal simulations of these relatively slow (minutes long) processes. In 2011 she received an NIH Pathway to Independence Award (K99/R00) and in 2017 she received an NSF CAREER Award. 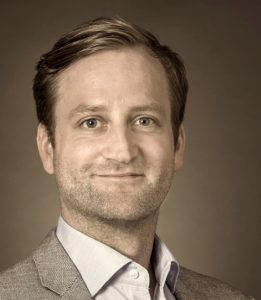 Marek Kimmel is a Professor of Statistics and Bioengineering at Rice University, in Houston, TX, USA, where he is one of the founding Members of the Steering Committee of the Program in Systems Biology. His main focus is mathematical modeling in biology, mainly in cancer research, genetics, and evolution, including stochastic and deterministic models. His monograph, with David Axelrod, Branching Processes in Biology (in second edition) is a popular reference. He has been collaborating with biologists and physicians. He is a Fellow of the American Statistical Association, cited for his works in estimating progression and early detection of lung cancer. He authored several monographs, around 250 refereed papers, and received research funding from NIH, NSF, EPSRC (UK), NATO, NCN (Poland), and ERC. He supervised around 30 PhD theses in the USA and Poland. He established the Cancer Dynamics track at the annual q-bio Summer Schools. His current focus is application of mathematical genetics and branching process methods to understand and predict cancer progression and interactions between cancer and treatment. Katherine Y. 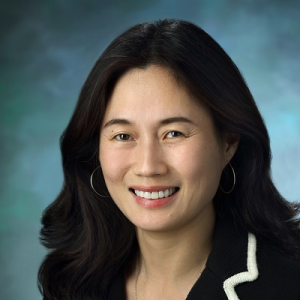 King MD PhD is an Assistant Professor of Pediatric Infectious Diseases at Baylor College of Medicine, where she is also part of the faculty for the Stem Cells and Regenerative Medicine Center and the Center for Cell and Gene Therapy. She received her MD and PhD degrees from Washington University in St. Louis in 2003 before completing her residency and fellowship training at Baylor College of Medicine where she has been on faculty since 2012. Dr. King has been the recipient of the March of Dimes Basil O’Connor Starter Scholar Award and the Aplastic Anemia and MDS International Foundation Liviya Anderson Award. In her mission to alleviate deaths from infectious diseases, her current research focuses on the molecular mechanisms by which inflammation damages blood and immune cell production by hematopoietic stem cells in the bone marrow. When she is not seeing patients at Texas Children’s Hospital or conducting research in the lab, Dr. King enjoys running, yoga, and volunteering her time for health care advocacy through the group Doctors for Change. We will discuss the process of primitive hematopoiesis, including the biology of hematopoietic stem and progenitor cells (HSPCs). We will review experimental methods to define HSPCs and their properties including quiescence, proliferation and differentiation rates. We will explore the current state of knowledge regarding how environmental stresses such as infection and inflammation perturb these properties. We will describe lineage tracing and bar-coding methodologies to study such perturbations. Finally, we will discuss how changes in HSPC populations contribute to clonal hematopoiesis and the potential contributions of infection and inflammation to leukemic transformation. This will include a basic discussion of leukemia, leukemic stem cells, and genetic basis of cancer. Dr. Munsky joined the Department of Chemical and Biological Engineering and the School of Biomedical Engineering as an assistant professor in January of 2014. He received B.S. and M.S. degrees in Aerospace Engineering from the Pennsylvania State University in 2000 and 2002, respectively, and his Ph.D. in Mechanical Engineering from the University of California at Santa Barbara in 2008. Following his graduate studies, Dr. Munsky worked at the Los Alamos National Laboratory — as a Director’s Postdoctoral Fellow (2008-2010), as a Richard P. Feynman Distinguished Postdoctoral Fellow in Theory and Computing (2010-2013), and as a Staff Scientist (2013). Dr. Munsky is best known for his discovery of Finite State Projection algorithm, which has enabled the efficient study of probability distribution dynamics for stochastic gene regulatory networks. Dr. Munsky’s research interests at CSU are in the integration of stochastic models with single-cell experiments to identify predictive models of gene regulatory systems. He was the recipient of the 2008 UCSB Department of Mechanical Engineering best Ph.D. Dissertation award, the 2010 Leon Heller Postdoctoral Publication Prize and the 2012 LANL Postdoc Distinguished Performance Award for his work in this topic. Dr. Munsky is very excited about the future of quantitative biology, and he would love to talk about this with you! Thomas "Ollie" McDonald, is the Associate Director of the Center for Cancer Evolution in the Department of Biostastistics and Computational Biology at Dana-Farber Cancer Institute and a Research Associate at T.H. Chan Harvard School of Public Health (cce.dfci.harvard.edu). Ollie obtained his PhD in Statistics at Rice University in 2015 under the direction of Professor Marek Kimmel. He spent time in Franziska Michor’s lab at T.H. Chan Harvard School of Public Health before assuming his new position in the CCE. His main research interest is mathematical modeling of tumor evolution and heterogeneity in cancers with particular emphasis on branching process models. His current work includes creating an optimal dose scheduling software package for administration of targeted drugs. Adam Palmer is a systems biologist working on understanding and developing combination cancer therapies. Adam’s research methods include experiments, theory, and analysis of data from clinical trials of cancer therapies, and he has a particular interest in the origins and therapeutic consequences of cell-to-cell and patient-to-patient heterogeneity in cancers. Adam is currently a postdoctoral fellow with Peter Sorger at the Harvard Program in Therapeutic Science, and previously Adam completed his Ph.D in Systems Biology at Harvard University with Roy Kishony, researching the relationships between mechanisms of drug action and the evolution of antibiotic resistance. Developing optimal drug combinations is one of the central challenges of cancer treatment research: drug combinations are used to treat most types of cancer, and are almost exclusively responsible for cures of advanced cancers. However, historically successful combination therapies were developed empirically, and the mechanistic basis for their efficacy has been largely speculative. I will present studies of clinically successful combination therapies that identify the control of between-tumor and within-tumor heterogeneity by independently active drugs as critical contributors to the efficacy of drug combinations in human patients. Mathematical descriptions of heterogeneity in cellular or patient populations, and experimental measurements of how drug combinations address heterogeneity, lead to accurate predictions of clinical trial results across many types of cancer and types of therapies, including curative chemotherapy regimens and recent immunotherapies. These results have broad significance for the treatment of cancers, for the interpretation of clinical trials, and point to new opportunities to use combination therapies with greater precision. Simon Tavaré is a Professor in the University of Cambridge Department of Applied Mathematics and Theoretical Physics and its Department of Oncology. Until end of January 2018, he was the Director of the Cancer Research UK Cambridge Institute, now part of the University of Cambridge. 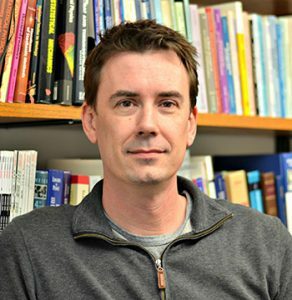 Simon’s research interests include statistical bioinformatics, computational biology, evolutionary approaches to cancer, statistics and stochastic computation. Simon received his BSc, MSc and PhD in probability and statistics from the University of Sheffield, UK. He spent 25 years in academia in the USA, where his research was funded by the NSF and the NIH. He moved to Cambridge in 2004. He has supervised some 35 postdoctoral fellows and 40 PhD students. His research has led to his election as a Fellow of the Academy of Medical Sciences (FMedSci) in 2009, a Fellow of the Royal Society (FRS) in 2011 and a member of EMBO in 2015. He is currently Director of the Wellcome Trust PhD programme in Mathematical Genomics and Medicine. He gave the American Mathematical Society’s Einstein Public Lecture in Mathematics, entitled “Cancer by the numbers”, in 2015 and was an invited speaker at ICIAM2015 in Beijing. He was, until recently, President of the London Mathematical Society. 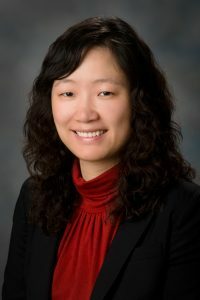 Dr. Wenyi Wang is a data scientist, currently Associate Professor at Department of Bioinformatics and Computational Biology and Department of Biostatistics, The University of Texas MD Anderson Cancer center. She works in the area of statistical methods for high-throughput genomic data, cancer risk assessment and Bayesian modeling. Her academic background is in both statistics and biology. Her main interest lies in wrangling with big data such as those in cancer multi-omics, and making sense out of it. Her lab’s statistical methodology development is data-driven and often coupled with solving an important biological question. The lab’s two research focuses are: 1) Cancer risk prediction models using TP53 mutation-associated Li-Fraumeni syndrome as a model; and 2) Tumor heterogeneity and evolution using computational deconvolution of multi-omics data, including transcriptomic and genomic data, single cell data and imaging data. My laboratory focuses on developing novel single-molecule imaging tools in single cells to study the structure, function and dynamics of macromolecular assemblies. For example, we developed single-molecule gene expression reporting systems and chromosomal DNA conformation markers to probe the dynamics of gene regulation and transcription in bacterial cells. We also pioneered the use of superresolution imaging to probe the bacterial cell division machinery. 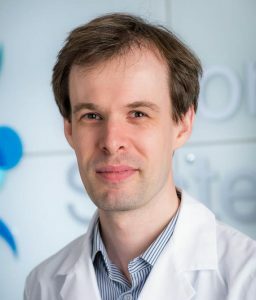 Recently we expanded our horizons by collaborating with experts of different fields in biology to map the spatial organization of the genome and epigenetic markers of single human cells and tissues, and to develop new single-molecule based technologies for sensitive early detection of cancer markers in blood samples.